We’ve got to know through our sources that the Maruti Baleno, which is the most popular model in the B2-segment of the Indian car market, is on sale with significant discounts. The Maruti Baleno range, which starts at Rs 5.38 lakh for the petrol model and Rs 6.51 lakh for the diesel model, is available with a total discount of Rs 32,000. 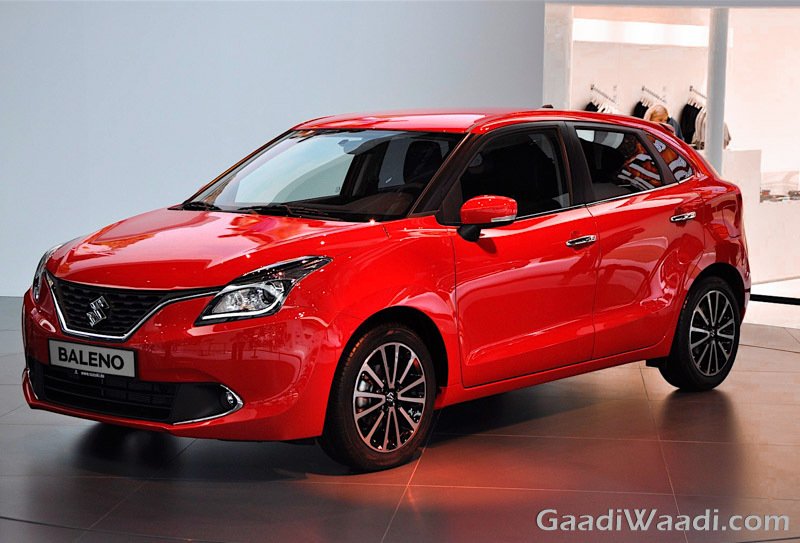 The discount on the Maruti Baleno is being offered through various schemes. One gets an off of Rs 15,000 in case he exchanges his old car. This discount is in addition to the value of the old car, as gauged by Maruti True Value. There’s also a cash discount of Rs 10,000. Corporate discount being provided on the Baleno is up to Rs 7,000. HID projector headlamps, LED DRL, UV cut glass, 16-inch alloy wheels, LED rear combination lamps, passive keyless entry, SmartPlay touchscreen infotainment system with navigation and Apple CarPlay, coloured MID and leather-wrapped steering wheel. Powering the petrol variant of the Maruti Baleno is the K12M 1.2-litre VVT-equipped four-cylinder engine that comes mated to a five-speed manual gearbox as standard and a CVT as optional. There’s also a sportier RS variant, which gets a K10C 1.0-litre BoosterJet petrol engine that comes mated to a 5-speed manual transmission. The K12M petrol engine outputs a maximum power of 84 PS along with a peak torque of 115 Nm. The K10C turbo-petrol engine offers a maximum power of 102 PS along with a peak torque of 150 Nm. Both the engines offer a good mix of mileage and power. The turbocharged three-cylinder petrol engine is imported from Japan and is one of the most powerful motors in the segment. The diesel variant comes with a Fiat-sourced 1.3-litre, four-cylinder, turbocharged D13A unit that develops a maximum power of 75 PS and a peak torque of 190 Nm. It comes mated to a five-speed manual transmission. We believe that this is a good opportunity for the prospective buyers of this hatchback to bring home the popular hatchback.